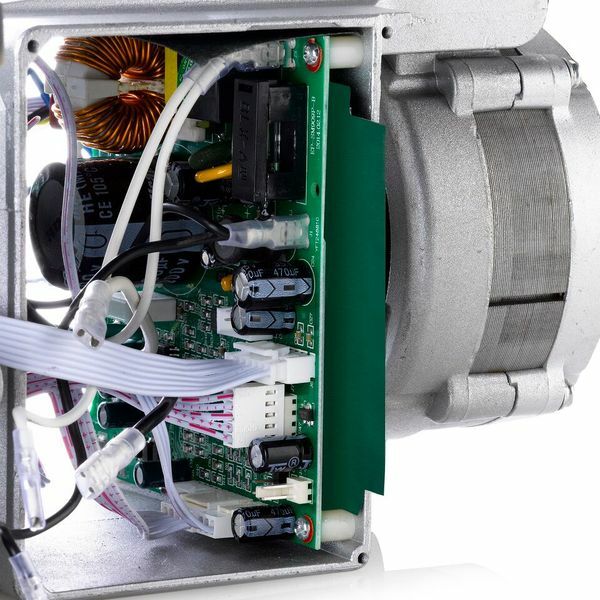 The SewQuiet 6000SM brushless DC servomotor is a modern-day marvel of ingenuity and technology, crafted and designed to exceed your expectations. This is the only servomotor to incorporate a full 12-coil (vs. 6 or 9) design. This provides unparalleled power and torque, the kind of torque that’s needed to work with the toughest materials. And for those looking to add a synchronizer to your motor, it’s now available as a low cost stand-alone option. The SewQuiet 6000SM represents the fourth generation of Reliable’s energy saving servomotor innovation. Precision step-by step stitching for detailed sewing, the ability to plug in a grounded light directly to the rear of the motor, UL/CSA certified electrical components and the total silence that gives the SewQuiet its name… the new 6000SM takes everything we’ve learned about motors over the past 60 years to new heights. *This is a breakthrough in servomotor technology, the first 12-coil design, the torque is so strong you can't hold the pulley with your hand (more torque even then a clutch motor). You can set the speed on these motors from 100 rpm up to 3800 rpm in 100 rpm increments. *Exclusive Electronic Controlled "Step Stitch" Function allows for one stitch at a time sewing by leather workers or anyone who needs stitch by stitch control for small items and turning corners. More torque at 600W than conventional clutch or servomotors at 400-550W, replacement, for existing clutch motors with no speed control, or undependable dc motors, Up to 75% energy savings! 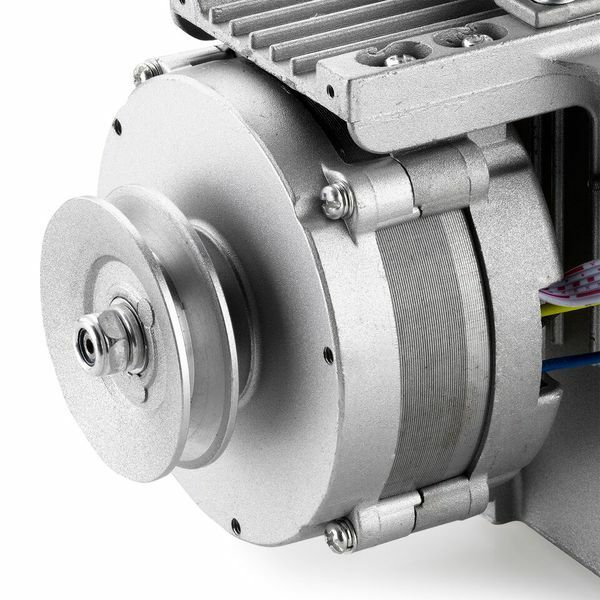 NO CLUTCH, NO BRUSHES, NO PROBLEM: The SewQuiet 6000SM brushless DC servomotor is designed to operate all light to heavy-duty industrial sewing machines. The brushless DC servomotor design which has very good torque even at low speeds; uses a laser sensor instead of a traditional mechanical clutch. This design gives the operator a graded acceleration compared to the abrupt type of acceleration common with a clutch motor. QUIET AND CONTROLLED: With the SewQuiet 6000SM, the noise that is normally associated with sewing motors (clutch and servo) is almost entirely eliminated, creating a more pleasant work environment. Whether you are an advanced sewer or a beginner, the SewQuiet 6000SM's microprocessor controller gives the user an unparalleled connection to the sewing machine, allowing for speed or detailed work. A "stepping" speed can be achieved which allows for literally, a step by step control of the sewing speed. This makes sewing detailed work much easier. From the utmost in speed control technology and the ability to reduce costs with improved energy usage, to the 'oh, sew quiet' work environment, choosing the Reliable SewQuiet 6000SM is simply the smarter choice. Everything you need to get your Sewquiet up and running is supplied in the box. "Installed Sew Quiet on Tacsew 226RB. Seems like unlimited power. I had to turn it down to about 25% to slow it down. It still had tons of torque" 600W vs 400W Clutch, No Belt. Reliable has lived and breathed every aspect of sewing machines since Milton Kahn started the business more than 5 decades ago. Quality control, expert service and advice are just a few of the things that make Reliable the leading commercial sewing and garment care manufacturer in North America. Sewing machines may not have changed much in the last 25 years, but the motors that drive them have changed dramatically. The Sewquiet 6000SM is a new generation of clutch free motors, with more torque, yet perfectly silent when sitting idle. The Synchronizer will not fit on the Consew 206RB machine. 220V Can be special ordered. Dimensions - 9.75" x 9" x 6"
Shipping Dimensions - 13.2" x 11.4" x 8"
SewQuiet 6000SM Servomotor. From the utmost in speed control technology and the ability to reduce costs with improved energy usage, to the 'oh, sew quiet' work environment, choosing the Reliable SewQuiet 6000SM is simply the smarter choice. 12-coil technology means more torque and variable speed control will suit all operator levels. Consew 206RB Owners!Just a word of caution regarding our synchronizer and the Consew model sewing machines. Our synchronizer comes with 2 size of mounting screws, 7mm & 8mm. Changing a Clutch Motor to a Servo Motor by Sewing Machines Australia. A variable speed servo motor delivers power savings, silent operation and precise control for your sewing machine. Often older machines with a clutch motor can receive a new lease of life by installing a servo motor. This video is a step by step guide to removing an existing clutch motor and then installing a new servo motor. MORE COILS = MORE TORQUE This is the only servomotor to incorporate a 12-coil (vs. 6 or 9) design, providing the torque you need to get through heavier sewing tasks with ease. 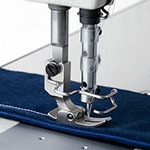 STEP STITCHING TECHNOLOGY - SST™ Controlling the treadle speed for the most detailed work is a breeze with the SewQuiet’s proprietary step stitching technology - SST™. 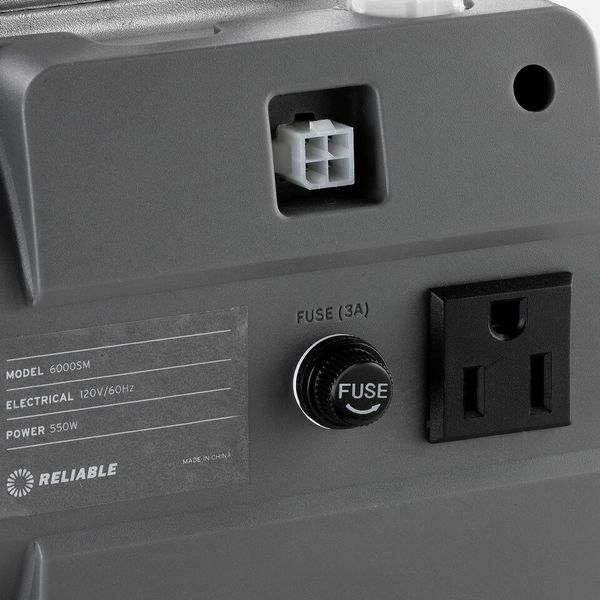 BUILT-IN LIGHT RECEPTACLE The 6000SM is equipped with a fused and grounded receptacle to plug in an UberLight LED light or a light of your choice. 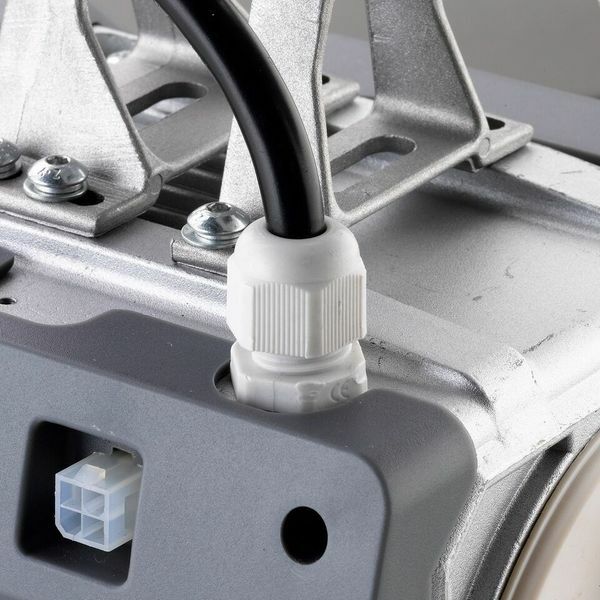 BELT ADJUSTMENT Regardless of the brand of sewing machine you are mounting the SewQuiet 6000SM to, the belt tensioning device is simple and easy to set-up. 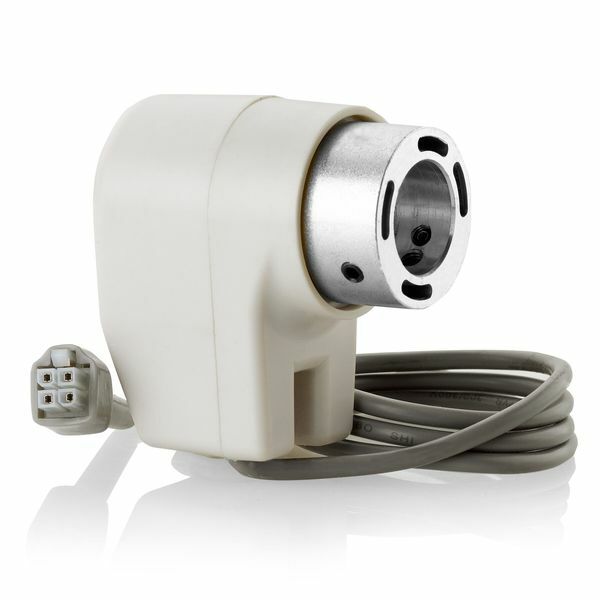 550W SERVOMOTOR The SewQuiet’s servomotor is the powerhouse behind every 6000SM, providing revolutions up to 6000RPM. PCB INSULATION Inside the 6000SM you will find PCB insulation that houses and protects the internal electrical components of the motor. VARIABLE SPEED CONTROL Built-in push button on/off switch and variable speed control. Easy to read LED display. STRAIN RELIEF This smart safety feature prevents pullout and wear on the electrical cord. SIMPLE SET-UP Everything you need to get your SewQuiet 6000SM up and running is supplied in the box. Belt cover in proper installed position. OPTIONAL SYNCHRONIZER Pair your sewing machine with our needle positioner synchronizer for precise control of your sewing operation. NO EXTRA CHARGE And the best part of the new SewQuiet 6000SM? 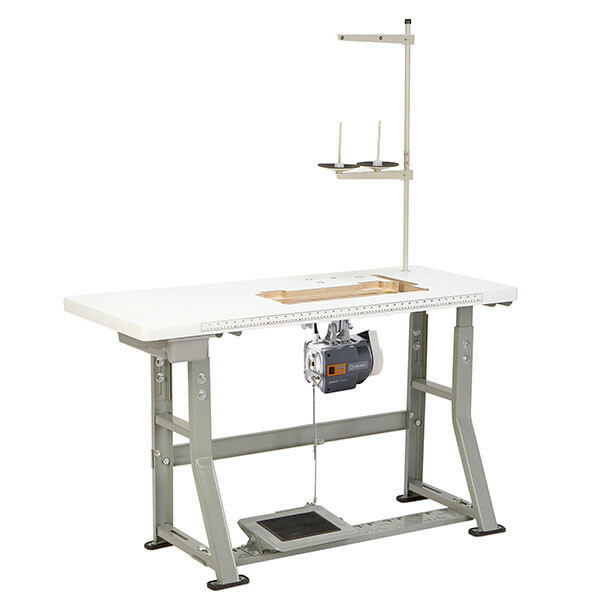 It's included at no additional cost with all Reliable industrial sewing machines. Reliable, I just wanted to send you a note saying thank you so much for making such a great motor. I have just finished installing your 6000SM on our Big Bertha and IT WORKS LIKE A CHARM! Quite a feat for such a compact and lightweight motor. I just sewed through not 2 not 4 or 8 layers...but 18 layers of Dacron cloth (which you would never do in 99% of projects)! Simply thrilled once again by your products. I am so appreciative of the service I have received from your whole team! You have a customer for years to come! Alexande Nemet, Evolution Yachting INC. Reliable produces the SewQuiet motors to the UL/CSA standard. 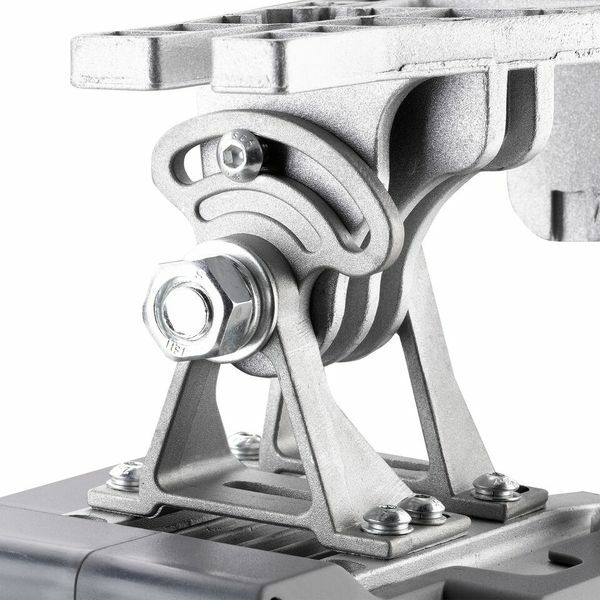 So the biggest differences is the plastic housing on the Reliable is UL grade plastic. It won't burn if its caught on fire. The component and wiring quality are all the same UL/CSA standard. In Canada where the Reliable ships from, it's illegal to sell a non UL/CSA electrical component. The US government doesn't regulate this the same as Canada. The end result is the Reliable has a better made motor, but it costs more to make. They are not allowed to use an external on/off switch for the same reason, they don't use fire retardant plastic. To solve this Reliable put a UL certified switch in the front of the motor, so a housing is not needed. Their engineers also devised a step stitch function in their motor that allows for maximum speed control. This is a unique feature and is ideal in a setting where speed control is important. From Reliable: We produce our SewQuiet motors to the UL/CSA standard. So the biggest differences is the plastic housing on ours is UL grade plastic. It won't burn if its caught on fire. The component and wiring quality are all the same UL/CSA standard. In Canada it's illegal to sell a non UL/CSA electrical component. Your government doesn't regulate this the same as ours. The end result is we have a better made motor, but it costs more to make (note: we are not allowed to use an external on/off switch for the same reason, they don't use fire retardant plastic. To solve this we put our UL certified switch in the front of the motor, so a housing is not needed). Our engineers also devised a step stitch function in our motor that allows for maximum speed control. This is a unique feature and is ideal in a setting where speed control is important. What is Error Code E5 and how do I correct? Press the “P” button to save the value. Switch the power Off and then On again to end the program settings. Do I need a different pulley? The optional 50 mm pulley is no longer required with the SewQuiet SQ5000 and 6000SM motors. 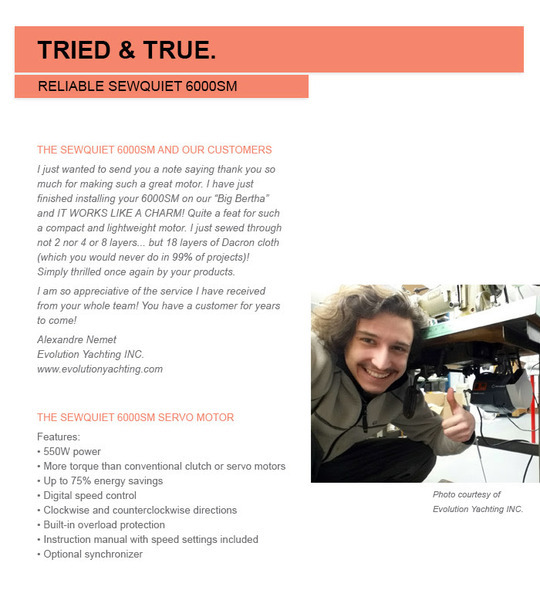 The Reliable SewQuiet 6000SM motor does come with a 60mm pulley and will work with the customer's existing table, however they might need a new belt that is longer than their existing one and the length will vary based on their type of sewing head. First try adjusting the belt that came with your existing set up, since you can change the height of the new servo motor to adjust belt tension. I rated customer service N/A only because I have not had to call in for this order. Everything looks great so far. The only concern I had about t the motor is that it did not come with complete installation instructions. The information included was about how to put together the belt cover. I had to go to the Reliable website to find out how to install the motor. Thankfully it was very easy. This is a fantastic motor and exceeds my expectations!! A whole world of difference from my old clutch motor!! Love the Servo motor. Easy to install. Works great. I bought this sewing machine with a clutch motor and this motor has made this machine a stitch by stitch operation that I needed and wanted. Thanks. Excellent! This is why I choose to purchase through all brands. Love the service! I just placed the order for the motor you recommended, Order #2302535, I Can't wait to get it and start use it :) I just wanted to thank you one more time for your help and your responses to my inquiries. Excellent Customer service - phones were down so I emailed and got a quick response. Can't beat the prices. All brands goes above and beyond to help you with any issue. They will definitely be my 'go to' for my industrial sewing machine needs. Love the Servo motor, it has taken my industrial sewing up several notches, giving me the control I couldn't always get with my old clutch motor. The servo is quiet and energy efficient too. Thanks!! The motor is installed, proper belt on - sorry I didn't invest in the Servo years ago! I love the control it gives me! Thank you all so much!! I have struggled with the speed on several different machines. Tried the smaller pulleys. Like most occasional users, by the time the project (car interior) is completed my skills catchup to the machine. This time I read a blog on the new 6000SM motor and did not hesitate, I ordered it the same night. It arrive 2 days ago, its like I have a new machine (Seiko STH-8BLD-3). Sewing will be fun again. I set the speed at 1200 and that is perfect for my needs. It will start stitch by stitch through 4 layers of vinyl, plus the upholstery board. I am a happy man! (and its quite) If you are not happy with your machine, This is money well spent! Your sewing stress will go way down! Awesome product!! I use this on my Juki 1181. Works great, have had it for a year now, got my servo motor with the positioner ( gives the ability to leave the machine in up or down position, extra attachment added to machine) have not tried that yet. I was so happy with my motor. Allbrands and Reliable answered all my questions before purchase and made. The motor is very quiet and it is relaxing while I am sewing. There are no sudden jerks with this motor. It stops when you stop, it starts out slow and smooth. My favorite part is the step by step stitching, gives me great accuracy while sewing on my leather work, as well as heavy upholstery and regular canvas products. The motor is great, even with my Juki, I can even sew on cotton fabrics. I would highly recommend this product. For me it has been an overall great experience. I wanted to express my 100% satisfaction with a purchase. 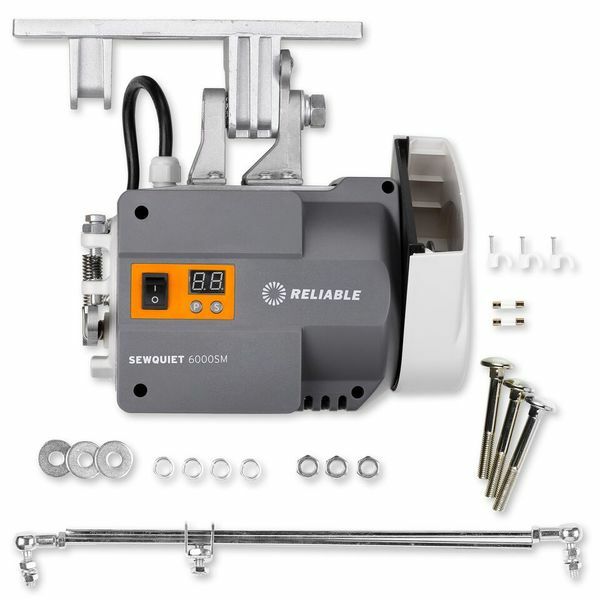 Reliable sew quiet 5000 motor. I've never been more satisfied with your quick service and for providing an exceptional product to me. Thank You very much. "...our dressmakers love the new SewQuiet 5000 motor/controllers. 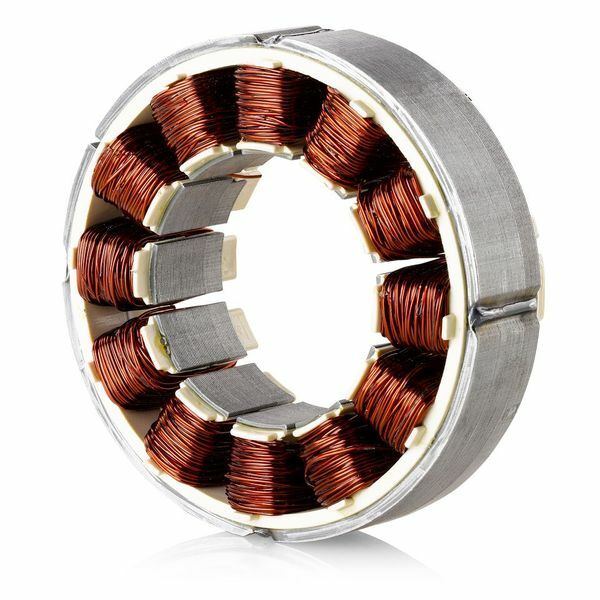 They replaced our old original 10A electric clutch motors used in our industrial machines. Our first noticeable difference was the very quiet operation - WOW - what an improvement there! I shall be monitoring our electric bill to see if that is an improvement area too. I am looking forward to a pleasant surprise. The speed variability is also a nice touch so that our more junior staff will not be quite so intimidated by industrial machines. They can increase speed as proficiency is gained! So far, we love them!" I used a consew servo motor prior to this one and the consew servo motor can not even come close to this one, very pleased. Willie E.
Yes, our Sewquiet 4000 would be the perfect choice for this model. In fact, as you know we have our own version of the DNU-1541 (MSK-1541S) and it is a very popular choice here. We always pair it up with the Sewquiet 4000. 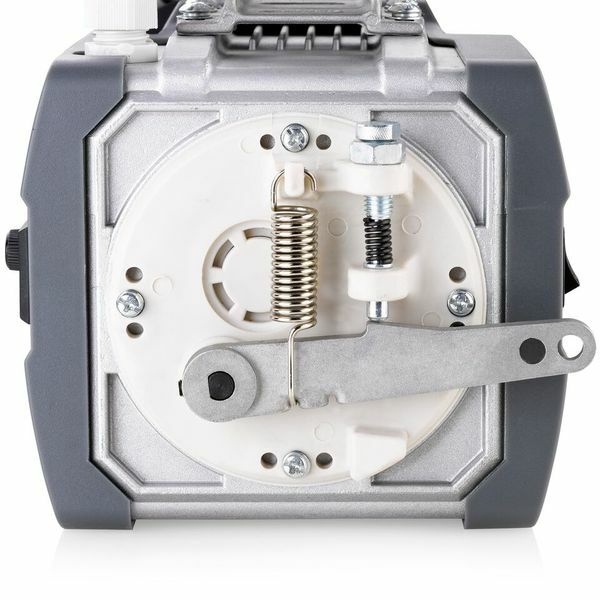 You can get very good control with this motor, particularly at slow speed which is what the customer is looking for. The motor will give a stitch or two when the motor is turned off, but only if the pedal (treadle) is pressed. I would also suggest our #50 pulley to give the customer extra control, as she has indicated this is more important than speed. The motor will install just like their current motor. There is no plug-in for a light. The light would need to go into a wall outlet. Extremely happy with the Servo! Have you noticed that most servomotors on the market look alike? 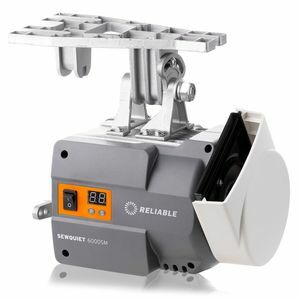 It’s not terribly surprising that they pretty much all perform alike as well With the introduction of the new Sewquiet™ 4000 by Reliable Corporation the servomotor market will never be the same again. The Sewquiet™ 4000 is the 1st DC servomotor with true quiet performance. No more buzzing sound at low speed, no more loss of power. The secret is our new PC board that is the heart and soul of the 4000. Once you’ve tried the Sewquiet™ 40000, you’ll find it very hard to go back to your old clutch or servomotor again. Yes it costs more than regular servomotors. But for only a few dollars extra, you can offer your customers true servomotor performance. Plus, we have designed and are producing the Sewquiet™ 4000 with UL/CSA approved components. The best part about our new Sewquiet™ 4000 servomotors… they are included on all of our industrial Reliable™ sewing machines, at no additional charge. I enjoy doing business with AllBrands.com. Your service is excellent! Very fast service. I have used the product and am very satisfied with the deal. Thanks, I plan to contact you again as I need other items. For upholstery and leather customers, you should stock and promote the 50mm pulley as an accessory for the Reliable 3000 motor. The small pulley is the ticket to real control and punching power. The combination of the 3000 motor and the small pulley is unique. Even with the small pulley, the 3000 can run as fast as anyone in their right mind would want to go on heavy stuff.